The ANCC acts as the co-ordinating body for affiliated clubs and councils in Australia. Our main aims and objectives are; To promote the Cavy Fancy in Australia To set standards and rules in all matters pertaining to the showing of cavies at National Shows. To set standards for the judging of cavies throughout Australia within affiliated clubs. and last but not least To provide information and advice on all matters pertaining to cavies. The Australian National Rabbit Council Inc. was established so that it can coordinate and promote Rabbit Clubs and interest groups throughout Australia. ANRCI is an Incorporated Association (WA). We recently had our elections and now ANRCI is being run by an elected Management Committee made up of State Representatives. We plan to officially be launched on the 1 January 2012. All Rabbit Clubs are now being invited to affiliate with ANRCI and enjoy the benefits of shared ideas, databases and costs. Individual Membership is open to all members of clubs in Australia .Its easy to join just go to the Membership page and click on the membership that fits you and follow the directions. We now have the forms required to Affiliate to ANRCI on our Documents page. You can either affiliate as an All Breeds Club, Small Local Club or Specialist Club. The Australian Cavy Sanctuary is a non profit and non funded community purpose organisation managed by dedicated volunteers across Australia who are truly passionate about the welfare of guinea pigs. We are a legit organisation and you are assured a professional and honest ongoing service by taking the time to adopt a homeless guinea pig through us. The ACS was the first rescue organisation in Australia dedicated entirely to guinea pigs. ACS founder and current President Jessica has more than 20yrs practical and theory experience in guinea pigs and their care and aims to ensure that ACS shelters are maintained to a high standard and by individuals with similar long term experience. BOARDING: The ACS shelters also offer a quality boarding service for your guinea pigs. You can board your guinea pigs in our boarding suites or you can bring your own cage. Please see the ACS website for further information about our boarding program. SURRENDERS: All ACS shelters accept any ill, injured and found guinea pigs that members of the public may wish to surrender. We understand that sometimes people for whatever reason are unable to keep their guinea pigs any longer. Our surrender process is a quick and easy process. All surrendered guinea pigs are assured only the best of new homes and some remain at the sanctuary as permanent residents. All are fed and kept very well. ACS also accept anonymous phone calls from anyone wanting to report a possible guinea pig mistreatment case. ACS will take steps to try to resolve the case ourselves first then will call upon the RSPCA in more severe circumstances. The ACS work closely with the RSPCA, taking in ill and mistreated guinea pigs that need close care and monitoring. ADOPTION: Guinea pigs available for adoption are listed on the ACS website to be re-homed to loving, approved families. Why adopt from an ACS Guinea pig shelter? - By adopting a guinea pig you're not only saving a life but helping to stop/not contribute to a serious cycle of over breeding of guinea pigs here in Australia. In 2009 the Australian Cavy Sanctuary has been struggling with high numbers of surrenders the entire year with most shelters sitting on more than 150 homeless guinea pigs for most of 2009. 1000's of guinea pigs are surrendered to our shelters from a variety of backgrounds. - The team at ACS take the time to work with each family individually to find the right guinea pig/s for their home environment. This includes a visit to the shelter to handle and see the guinea pigs that may suit your family and this also includes us taking the time to get to know each individual guinea pigs personality and in turn the sort of home that will suit them best. - No profit for us! Your adoption fee will go directly to helping fund/care for the homeless animals in our care so in turn you are actually donating aswell when you choose to adopt. - ACS Shelters are managed by people who have many years practical first hand experience and knowledge in guinea pigs and their care. Due to this you are assured high quality and correct advice and a healthy happy guinea pig. - If you adopt from a shelter you will also be helping to free a space for another homeless guinea pig in need. Adoption is a very rewarding and worthwhile process for both yourself and your special new family members. WHAT ELSE? All the ACS shelters sell recommended quality feed and hay and other guinea pig related products. Please email your nearest ACS shelter to inquire about what's available. All profits from purchases through an ACS shelter go directly to the animals in our care. We are dedicated to the ongoing challenge of taking a stand for the quality of life, value and respect of all guinea pigs and to be the voice for those that are unfortunately trapped in helpless situations of abuse and mistreatment. When given a chance to shine a guinea pig will warm the heart and soul for life. For further information about the Australian Cavy Sanctuary, guinea pig care, how you can help and for profiles and photos of current adoptable guinea pigs please visit our website. guinea pigs, cavy, animal welfare, guinea pig care, sanctuary, australian cavy sanctuary, adoptables, rehome. 24 hour rabbit health and information service. FREE Show displays and talks FREE Rabbit Agility Trials, Rabbit Hopping and training team available for displays/shows. POA dependant on location. Shopping Centre Displays. FREE Hospital and Nursing Home Pet therapy visits. FREE OR Donation, to SA. RABBIT RESCUE AND ADOPTIONS. Rabbit Behaviour Training. FREE Bunny Birthday Parties for children. POA COST OF FUEL ONLY. open to accept unwanted bunnies 7 days a week by arrangement and after a 31 day period of assessment the buns are offered up for adoption. The rabbits are fully health checked and Vaccinated for Calici Virus (VHD) a started pack and information pack is also given to each new bunny parent so that they get bunny parenting right the first time. We sometimes have baby rabbits available from one of our rescued rabbits. These may be available to people who can house and care for them properly. We always have tame friendly young adult rabbits for adoption. These have either up ears or lop ears. There are always many diffent colours to choose from. Please send us an instant message with any inquiries. The Pet Directory Rabbit Rescue and sanctuary is situated in a tranquil bush setting on Rocky's Ridge, which is named for the first rabbit ever to be homed on the property. It is set up for rabbits who need a sanctuary for any reason. The rescued rabbits have a netted grassy acreage run with a secure and cosy cabin to rest in and sleep in and little day huts to snooze and play in. The rabbits sleep, play and enjoy each other's company. They have toys and fun tunnels to run through or hide in which gives them hours of entertainment and exercise. No longer caged, the rescued rabbits live their lives in the fresh bush air with an abundance of fresh vegetables, meadow grass, high quality hay and Barastoc Rabbit Pellets. They have bowls of precious fresh cool water to lap from at all times. Rescued rabbits are not necessarily available for re-homing. Once they reach The Pet Directory's Rabbit Rescue and Sanctuary, they become protected. For re-homing to occur, the applicant would have to be able to provide accommodation and care to meet the standards set out. People should feel welcome to apply if they feel they can give the committment and love required for an adopted rabbit or baby rabbit. Rabbits who find themselves in need of rehoming from Queensland can be surrendered to The Pet Directory Rabbit Rescue. Read this delightful story from a trainer about how she hand reared baby rabbits after their mother died. To gain more information about rabbits and their care visit the Pet Articles and Care Sheets Library on this site. Read the Rabbit 'Bible' by Christine Carter to learn everything there is to know about rabbits. Rabbits surrendered to The Pet Directory Rabbit Rescue & Sanctuary can be held in care until the owner can once again be reunited with their beloved rabbit. This assists people to keep their rabbit knowing they are safe in our care. Our mission is simple – to prevent the unnecessary euthanasia of healthy, loving, domestic pets, young, old or with special needs by re-homing them and giving them a second chance at life, and to provide meaningful experiences for at-risk members of the community. Sydney Dogs and Cats Home opens its doors to over 3,000 animals each year, servicing multiple council areas across Sydney. We also help small pets like rabbits and guinea pigs. Unwanted rats deserve a second chance and sadly they are not always given this when surrendered to pounds or the RSPCA. Other unwanted rodents, are given away as snake food. That’s why we have started the NSW Rodent Rescue to help those rats and mice (yes mice deserve love and compassion too) that are in need of new homes in New South Wales, Australia. I am based on the Central Coast NSW, but rescue and rehoming can be arranged in other areas of the state. Adopt a baby rabbit or give an adult rescue rabbit a home. We can send photos of suitable rabbits available for adoption to your mobile phone. If you would like to receive photos please text to Kim on 0416 062 947. Please include your name and email and location. The Rabbit Rescue Sanctuary is located in Northern NSW Australia. Where time never runs out for rabbits. Rabbit Adoption - Adopt a Rabbit or Two! We deliver to most places. We offer care and behaviour advice in return for a donation amount of your own choice. We offer rabbit boarding especially if the rabbit is in danger of entering the welfare system if boarding can't be found e.g. owner is ill etc. The Cavy Rescue Network is a contact list of people rescueing and rehoming cavies (guinea pigs) across Australia. Included in the Network are several cavy rescue shelters, registered breeders that also take in rescues and many individuals who take it upon themselves to help save cavies. If you are rescue minded you are welcome to join the Network! 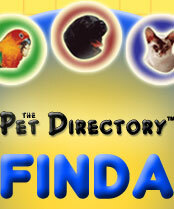 You can find cavies listed by the Network on Pet Directory and Pet Rescue, as well as shelter websites. We takes in and find homes for guinea pigs. A: Supply aid and Sanctuary to all guinea pigs whether they are ILL, INJURED, NEGLECTED, UNWANTED, FOUND OR WHERE CARE IS NO LONGER POSSIBLE. B: Ensure quality of life by adopting guinea pigs to suitable homes. C: Educate the community on the correct care, treatment and value of all GUINEA PIGS. D: Offer help via information to current and future owners of guinea pigs. We also offer Boarding. We sell grain mix, plus other guinea pig items. The VicFRMA are a friendly Club here to answer questions and enjoy our time with other members who care about their rats and mice as much as we do. We have some great social get togethers as well as Shows and Displays. We have BBQ's and other social get togethers where you can bring your rat or mouse and just hang out with other people and their rats and mice. Its great fun. NSW CAVY CLUB promotes the breeding and exhibition of high quality pedigree guinea pigs(cavies).It's aim is to upgrade the status of guinea pigs. It provides information to the public about the care and characteristics of guinea pigs. The Victorian Fancy Rat and Mouse Club is a really friendly group of people who enjoy rats and mice. We have displays and shows around Victoria where people come and win ribbons and prises and just enjoy themselves. We have a newsletter with fun competitions and prises as well as great information, and we make having rats and mice fun for the whole family. So come along and Join in the fun. The AusRFS is a very active, social and family orientated club, with a current membership of 90 people from all walks of life, backgrounds and age agroups, who love getting together to share their common passion - RATTIES ! The Australan Rat Fanciers Soceity was formed in 1996 in Melbourne to address the lack of reliable information regarding pet rats and their care, and also to provide support and social forums for rat owners. The AusRFS became an Incorporated Association in 2005. To raise awarenss of the differences between domesticated pet rats and wild rats. To provide social forums for rat owners. To operate a resuce service to help rats in need. To discourage the breeding of ras to be used as food for other animals. DISPLAYS are held at many agricultural shows, pet expos and community events around Melbourne and rural Victoria thoughout the year. Why not come along and have a chat to our members and meet their gorgeous ratties. Maybe have your photo taken with a rat (great for show and tell) and all money goes towards our Rescue Service. We also have lots of lovely rat related items for sale, but rat patting and cuddling is free. For a full list of upcoming events please visit our website. RAT SHOWS are held in conjunction with a number of AusRFS displays. Visitors are always welcome to come and watch the judging. RAT CARE ADVICE LINES provide information and advice about rat care and welfare. This service is available for members and general public alike. RESCUE SERVICE takes in and rehomes abandoned and surrendered pet rats. In addition to the rats we rescue ourselves or are surrendered directly to us, most animals shelters in Melbourne also pass on all pet rats to us. To date our Rescue Service has taken in approximately 5,000 pet rats who otherwise would have faced a very uncertain future. Our Rescue Service is funded soley by donations and fundraising. REGISTERED RATTERIES a register of ethical, responsible rat breeders who have passed the Society's strict registration process. This process includes testing of rat & breeding knowledge, monitoring of rat keeping pratices and inspections of premises. BOARDING SERVICE can care for pet rats when their owners go on holidays. WEBSITE provides information about the AusRFS, pet rats and their care. ON-LINE FORUM where rat lovers all over Australia and beyond can chat and share information. Enter via our Website. PUBLICATIONS The AusRFS produces a range of printed material, including a comprehensive Information Booklet which covers all aspects of rat care. SOCIAL ACTIVITIES FOR MEMBERS such as Social Days, Information Days, Annual Rat & Ferret Fun Day (in association with the Victorian Ferret Society), Fancy Dress Party and Christmas Party. Anyone who owns or is interested in pet rats is welcome to apply to join the AusRFS. Membership forms are available from the AusRFS or can be downloaded from our website. Perspective members are strongly encouraged to come along to one or two AusRFS events in order to meet some members and their rattties and learn a bit more about our Society. The Mini-Pig and Pet Pig Association of Australia Inc. The Association is dedicated to its Members and the future of Miniature Pigs and Pet Pigs in Australia. and the Breeder/s within Australia. Being the Governing Body of miniature pigs and pet pigs, to organise exhibitions and shows in all States of Australia. The MPPPA has Established the Standard for Miniature Pigs and Pet Pigs in Australia. The MPPPA will research and develop a high standard for the breeding and showing of miniature pigs and pet pigs in Australia. Breeders of the MPPPA agree to the High Standard of Excellence in Animal Husbandry set out by the MPPPA. Members of the MPPPA will abide by the laws of the DPI and Local Councils within Australia. A Country Agricultural Show manned by Committee Members and volunteers from the township of Stroud. The Show has been running for 85 years. Next year makes 86 and still going strong.Dates are 28th 29th March 2008 Venue Stroud Show Ground on The Bucketts Way. Together in guinea pig and other small animal discussion, love, care and awareness! Become a member of the ACS message boards! Our message boards are a wonderful place to meet fellow guinea pig and other small animal enthusiasts from around Australia. At the message boards you will find lots of guinea pig photos and information! The message boards are moderated by some of the ACS shelter managers and founder and many of our volunteers are also members on the boards. Have a guinea pig general or medical related question? Need support planning for your new small pet? This is the place to find your answer! Forum content is appropriate for all ages. ACS founder and current President Jessica has more than 20yrs practical and theory experience in guinea pigs and their care and aims to ensure that ACS shelters and ACS the org is maintained to a high standard and by individuals with similar long term experience. The Pet Medical Crisis Fund (PMC fund) saves pets whose owners cannot afford their emergency medical care. Having sat in vet emergency rooms I have seen the heartbreak families experience when the unexpected cost of emergency care presents to them. The additional costs can mean the loss of their beloved pets life - and an unnecessary separation from the family who love them. We are 100% not-for-profit and 100% of all donations go directly to saving a pet. The Pet Medical Crisis Fund (PMC Fund) has been created to help struggling families who cannot afford surgery to keep their family pet alive. Your donation will go directly to assist a family pet to return home to the people who love them. All donations are recognised on the Pet Medical Crisis Fund’s Hall of Fame page where you will also be able to see the pets who have been helped by your generous donation. Everybunny welcome! Newly incorporated in April 2006, The SA Rabbit Fanciers Society Inc. aims to promote all aspects of our hobby in a friendly, family atmosphere. Our fancy is meant to be enjoyable, so we hope to keep our shows and displays fairly informal, yet encouraging competitive exhibition in a friendly way. Our young members are the future of the fancy, and must be encouraged. Based in the northern suburbs, we have operated informally for four years - exhibiting at Ag Shows, shop displays and attending local fetes. The committee come from all fields of rabbit keeping, and can redirect both members and the general public to appropriate information sources. South Australian host club for the UK Judge's Tour in 2010. Judge: Mr. Phil Batey (UK). THE VICTORIAN RABBIT ASSOC. Inc.
GIPPSLAND RABBIT FANCIERS ASSOC. Inc.
Home of the National Rabbit Show. Shows 6 times a year at Wyee Hall at Wyee on the NSW Central Coast. Members receive our quarterly newsletter as well as ring registration, expert guidance in a friendly and professional group of rabbit enthusiasts. Rabbit Fanciers Society of NSW Inc.
We are a Family oriented Club and welcome all rabbits and their owners. We give out 6 informative newsletters per year(for both pet owner and serious breeder) and have 6 shows catering to both pet rabbits (twitchiest nose, fastest eater, fancy dress,etc all first prizes win trophies! )and the serious breeder. please see our website for current show details. A rabbit club for both pet rabbit owners and serious rabbit breeders and exhibitors. Rabbit club meeting on a monthly basis in the Strathmore Heights Community Centre, Boeing road (in the Boeing reserve) Strathmore, Victoria. Club caters for all pure bred rabbit breeds by running regular shows as well as companion pet shows and junior shows restricted to members under 18years. There are rabbits on display, experienced members available to provide advice and provide contact details to purchase rabbits and rabbit related products for sale. Admission to the hall is free and visitors are welcome to come and have a look. Rat & Mouse Association (Victoria) Inc. The Association was founded on the 7th February 2001. We are an incorporated Association and as such we have agreed to abide by the Model Rules Act (1981). section 7 in all instances where our Constitution does not apply. We are a non-profit organization as such; all moneys raised by the RMA (Vic) Inc go back into the Running costs of the Association, and for that reason all donations are greatly appreciated. To ensure responsible pet ownership. To educate the public in respect to the domestic/pet/rat/mouse. To work against the breeding of unsuitable temperaments. To work against unnecessary breeding of pets/rats/mice. To provide support and information to owners, pet or otherwise. To attend shows and exhibitions in a professional manner. To encourage all rat/mouse owners to value the importance of these species. The association colours are red, white and navy, These colours are worn when representing the association, i.e. at displays and exhibitions. Also worn by members is the club nametag so the public easily identifies them. Our exhibition is highly popular, not just for the children but also for adults, many of them have had rats and mice when they were children. We all know displays are a platform for education in regards to care, housing, nutritional and emotional needs of boths rats and mice and our association has received very positive feedback from agricultural shows, Pet Expo's and schools which we have attended to date and we have received invitations to repeat these events/displays/programs each year. We would like to continue our efforts wherein we hope to provide the general public with information, hans on experience and ultimately entertainment with our rats and mice as the star attraction. One of our aims is to encourage the wider community to learn about the general care of these animals and encourage them to be selective when purchasing an animal, before they decide to buy one. And we provide ongoing care/information for the animals of our members as well as the opportunity for our members to show their animals on a regular basis and combine this in social atmosphere. The AusRFS is a very active, social and family orientated club. We have a current membership of 90 people - from all walks of life, backgrounds and age groups, who love getting together to share their common passion – RATTIES. The Australian Rat Fanciers Society was formed in 1996, in Melbourne, to address the lack of reliable information regarding pet rats and their care, and also to provide support and social forums for rat owners. To show the public what wonderful pets rats can be. To educate and provide information about how to care for pet rats. To raise awareness of the differences between domesticated pet rats and wild rats. To offer opportunities for owners to show their rats. To operate a rescue service to help rats in need. DISPLAYS are held at many agricultural shows, pet expos and community events around Melbourne and rural Victoria throughout the year. Why not come along and have a chat to our members and meet their gorgeous ratties! Maybe have your photo taken with a rattie, (great for show and tell!) and all money goes towards our Rescue Service. We also have lots of lovely rat related items for sale, but rat patting and cuddling are free. For a full list of events, go to the calendar section of our Website. RAT SHOWS are held in conjunction with a number of AusRFS displays. Visitors are welcome to come and watch the judging. RAT CARE ADVICE LINES provide information and advice about rat care and welfare. This service is available to members & the general public alike. RESCUE SERVICE saves and rehomes abandoned and surrendered rats. Apart from the rats that we rescue ourselves or are surrendered directly to us, most animal shelters in Melbourne also pass on pet rats to us. To date we have taken in approximately 5,000 pet rats, who otherwise would have faced a very bleak future. Our Rescue Service is funded solely from donations and fundraising. REGISTERED RATTERIES - a register of ethical, responsible rat breeders who have passed the society’s strict registration process. This process includes testing of rat knowledge, monitoring of rat keeping practices and inspections of premises. BOARDING SERVICE can care for rats when their owners go on holidays. ON-LINE FORUM, where rat lovers all over Australia and beyond can chat and share information. Enter via the website. PUBLICATIONS A range of printed material, is produced, including a comprehensive Information Booklet, which covers all aspects of rat care. SOCIAL ACTIVITIES FOR MEMBERS such as Social Days, Information Days, Fancy Dress Parties, Annual Rat and Ferret Fun Day (in Association with the Victorian Ferret Society) Members Annual Show and Christmas Party. Anyone who owns, or is interested in pet rats is welcome to apply to join the Society. Membership forms are available from the AusRFS or can be downloaded from the website. Prospective members are strongly encouraged to come along to one or two AusRFS events in order to meet some members and their ratties and learn a bit more about the Society. (people who breed rats as food for other animals). AusRFS Inc. QLD is Queensland's premier rat and mouse club! Our aim is to educate others about rats and mice as pets. Rats and mice are an ideal choice, being intelligent, friendly and of course, cute! At AusRFS Inc. QLD, we hope to raise awareness of the suitability of rats and mice as pets, as well as encouraging owners to take care of the wonderful animals the best they can. Members of all ages are welcome to join us at our shows. We are a volunteer, non profit, incorporated society. To provide fellowship for ferret owners. Found a Ferret? If you have found a ferret and aren't sure what to do with it, here are a few tips: * Ferrets generally like their homes and wont go too far away - Try asking at any nearby homes if anyone knows who the owner is. * Try taking the ferret to the closest vet - If the ferret has been microchipped there is a good chance they will be quickly reunited with their owner. * If the owner cant be found, or you suspect the ferret has been dumped, please contact the Welfare Coordinator, who will be able to assist you with finding a place to take it, or can arrange someone to pick it up. * If the ferret is missing a lot of hair, has swollen crusty feet or generally looks in ill health, try not to handle it too much, as it could have mange another type of parasite which can be transfered to humans. * If you are unable to contact the Welfare Coordinator, and aren't sure how to provide immediate care for the ferret, try reading our pages on feeding and caring or call any member of the Committee as they will be more than happy to give you advice and guidance. NSW CAVY CLUB promotes the breeding and exhibition of high quality pedigree Guinea Pigs (Cavies). Its aim is to upgrade the status of Guinea Pigs. It provides information to the public about the care and characteristics of Guinea Pigs. Enquiries welcome. Usually meets first Sunday of each month in Mt. Waverley. Classes for pedigree and pet cavies. Enquiries welcome. A friendly family orientated club dedicated to the welfare and enjoyment of owning a Guinea pig! Monthly shows held at: Rothwell Community Hall Morris Rd Rothwell Members and visitors of all ages welcome! 1st Sunday of each month (excluding June for state titles) Come for a look at the many colours and breeds! Children can enter their pet guinea pig in the Pet classes and learn more about their pets! Enquiries welcome. All new members welcome. Shows held every 2nd Sunday from March to November at Gumdale Progress Hall, New Cleveland Rd. Gumdale, QLD. Northern Rivers Cavy Society Inc.
Northern Rivers Cavy Society Incorporated. Shows for both Pet and Pedigree Quality Cavies. Shows are held every third Sunday at the Clunes Memorial Hall, Clunes from February to September. Agricultural shows are also held at Nimbin, North Coast National (Lismore) & Bangalow. Cavy displays at various venues as advertised. Educational, Informational with "Hands On" displays are available on request. would you like to have a cavy display or talk, with "hands" on contact any of the following. Guinea pig club for owners of purebred and pet guinea pigs living in southern NSW and the ACT. Regular shows in Queanbeyan, Canberra,and Wollongong. COBS is a friendly cavy club that includes members from South East Queensland and Northern New South Wales. COBS holds regular shows starting at 9.30am on the 4th Sunday of the month at the Beenleigh Show Hall between February and October. Gold Coast Guinea Pig Rescue is a privately run shelter in Southport on Queensland's Gold Coast. We take in found, surrendered and rescue guinea pigs, providing them with veterinary care where needed. We are the first Guinea Pig Shelter in Australia to actively promote the desexing of guinea pigs and are moving towards a time when only desexed piggies, both male and female, are offered for adoption. We run an early age desexing program with Deborah Monks from Brisbane Bird & Exotics Veterinary Clinic in Macgregor whereby all baby piggies are desexed at three or four weeks of age. Many of our older guinea pigs are desexed by the piggy-loving vets at Greencross Oxenford. Any guinea pig coming to the shelter who can't be rehomed for medical or other reasons has a home here for life. All other piggies, when we feel they are ready to be rehomed, are placed for adoption. We promote a healthy nutritious diet for guinea pigs and to this end have formulated our own mix which can be purchased from the shelter or from various retail outlets. Visit our website to find a location near you. We also stock a full range of Oxbow products. The shelter provides a boarding service at very reasonable rates. Our Rescue is a small self-funded, family run rescue. We also now have a facebook page. We are based in Aspley, Brisbane and are happy to take any mis-treated, found, pregnant or unwanted Guinea Pigs. These Guinea Pigs undergo full treatment at our Rescue for any medical problems which may be present and are handled regularly in an attempt to humanise our more frightened residents. These Guinea Pigs often emerge as some of the friendliest, most inquisitive Guinea Pigs you will meet and make a wonderful addition to many families. Palm View Guinea Pig Rescue & Recovery Shelter - helping those in need, creating a better living environment and education towards Guinea Pigs, their health and Well being. Cavy Angel’s Guinea Pig Rescue is a small non profit and non funded Organisation that relies on the help, support and generosity of the public. And are happy and healthy. If you would like to surrender a guinea pig please feel free to give me a call or email. The Gold Coast rat rescue is a rescue centre for rodents on the gold coast and surrounding areas. We have dedicated our time to finding 'forever homes' for these beautiful creatures (known as rodents) that we are blessed with! So if we all work together we can find the loving homes that these beautiful creatures deserve! Palm View Guinea Pig (and small animal)shelter, now has a FOSTER to ADOPT program in place - this is to help those families (or individuals) who are not sure whether a rat, mouse or guinea pig is suitable for their family. A foster to adopt package will allow you to foster our shelter animals - full inclusive set up, for up to 2 weeks to let you have an idea on whether or not you do have the time or space for these little guys. At the end of your foster duration - if you decide you cannot part with the animals - then an adoption will proceed - we will discuss housing options with you to ensure that the animals will be properly catered for and will go from there. It is a very easy, no fuss process. For more information - drop the manager an email. For Adoptions, surrenders of guinea pigs. Guinea pigs avaliable for adoption are waiting for their new homes. Rabbit Run-Away Orphanage is a non-profit organisation and operates as an incorporated association. Each year many bunnies are abandoned or surrendered to animal shelters. While the animal shelters do what they can, regulations restrict them to keeping just a small number of animals. The sad fact is that there are too many bunnies for the capacity of the shelters and many healthy, lovable and friendly bunnies are euthanised, many do not even reach their first year. Bunny orphans come to Rabbit Run-Away Orphanage as overflows from animal sanctuaries such as Keysborough Animal Shelter or as dumped and neglected rabbits. The number of orphan intakes varies throughout the year and the rabbits that come to us as orphans or special needs bunnies are successfully re-homed primarily through our Rabbit Run-devous bunny dating service offered at Rabbit Run-Away Orphanage. NEW - BUNNY FOSTER CARERS NEEDED!! Here at Van Deman Ferret Rescue we accept ANY ferret that needs a new home. We take strays, surrenders and abused ferrets at any time of the year. We also have a no kill policy unless we have exhausted every possible avenue of treatment and the ferret is simply beyond help medically. We also accept any donations that will help with costs to help aide the ferrets in finding forever homes and avoid the "rainbow bridge". in order to give abandoned Rats a "forever home". *There are currently 126 people online.